I tried to take a pic but I don't have a macro for my iPhone. 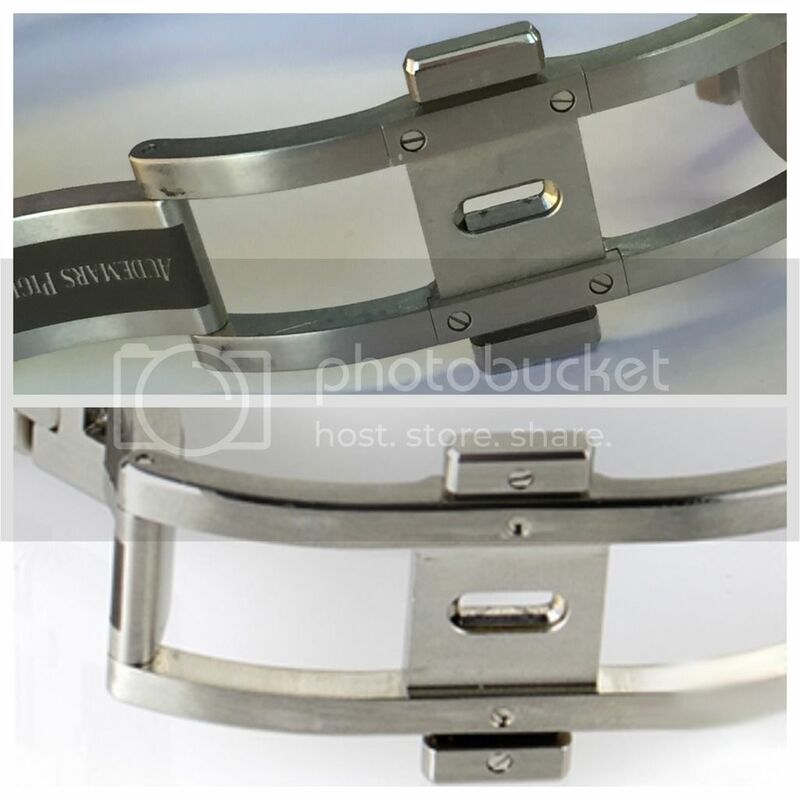 It would appear that for production I on the 15400 the screws appearing on the dual clasp releases on the bracelet have been removed in favor of a one piece design. I remember reading something about it a while ago. Can anyone confirm? Happy & healthy New Year to everyone. Top is my watch, bottom from the web. can i see it please ?